This is my first rave for the year. It's a book that I would not normally have picked up, but I had a chance to read an advance copy and I was blown away. I have been talking about this book everywhere I go, encouraging anyone with even a tiny interest in children, education or reading to put it on their reading lists. The book (shown to the left) is called Creating a Room To Read by John Wood, and it's due for release on February 28th. These words and variations of these words have been heard over and over again, some might say to the point that nobody really hears it anymore. Let me tell you, after reading this book, I just wanted to shout it from rooftops and tell everyone I knew about the amazing work of the Room to Read organization. The first thing I thought when I started reading this book, is 'Why have I never heard of this man before?' This is his second book and the Room to Read organisation was established in 2000, I should really know about this man! 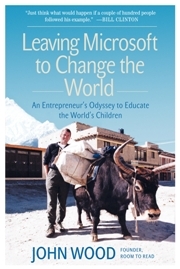 The brief rundown is this, John Wood used to work for Microsoft, and after a trip tp Nepal in 1999, he decided to leave Microsoft and do his bit to change the world (his first book is in fact called Leaving Microsoft to Change the World). In ten years Room to Read has helped to established 10,000 libraries, this book looks at how he made this happen. I believe this book technically falls into the business and management genre, but as a person with no real passion for the business world, I still found this book hard to put down. With that in mind there is a lot of detail about how the business side of this organisation works, but I found that fascinating, because it shows how this organisation has managed to do what it has and how it has become a $50million per year organisation. I will try not to give you a blow by blow description of the book, as I hope you'll go out a read it for yourself, but I will outline some of the points that really stood out to me. Room to Read may technically be a charity, but it runs as a business, and it's business is to provide the most disadvantaged children on the planet an education. The organisation is made up of people with big business backgrounds, and they make it a priority that they hire the right people to make it all work. It seems so simple, but their plan is vastly different from so many other charitable organisations, and I think that's why their plan is working. While they may have their headquarters in San Francisco, each Room to Read program is run within the individual communites by local people. They work with communities by meeting them halfway financially. Local people work with Room to Read to encourage their communities to support the program in whatever way they can. If they have cash, then they contribute financially, but if they don't, they can make that work too. They have found that many communities don't use cash and they barter instead, so these communities contribute what they can, be it in the form of labour or they will supply grain / livestock to sell. $75,000 = 15 bilingual libraries in rural Asia serving 7000 children. Room to Read donates approx 82% of donated funds to programs rather than spending it on overheads. *That being said there is an authors note at the back of the book where John tells us (with full disclosure as is the Room to Read way) that in Africa they have had to buy a few vehicles, due to the danger and difficulty in travelling on a motor scooter. The cars used have either been donated or are used cars. Over a twelve month span, documentary filmmakers James Connolly and Rachelle Escaravage travelled to Room to Read projects across Asia to tell the stories of some of the children who are benefitting from our programs. 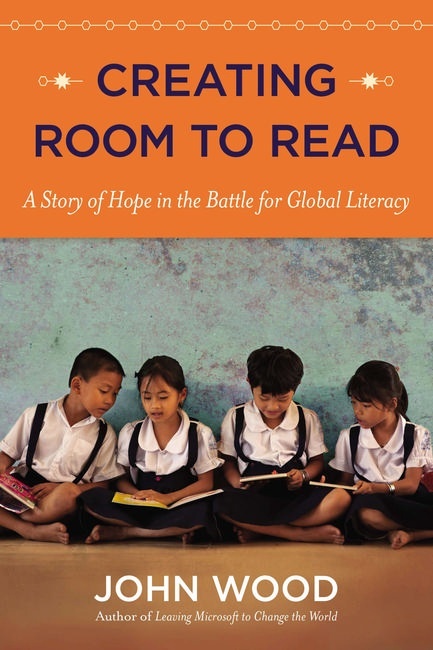 This fall, Room to Read is taking you inside our work promoting literacy and gender equality in education through six mini-documentaries the pair shot in India, Laos, Vietnam and Sri Lanka. John Wood has used his business background and his big business connections along with his passion for books and education to change the lives of million of children around the world. I have included a link to their website, so even if you don't think you will read the book please visit it and see for yourself the work they are doing.